Cow and Donkey lead the musical medleys and Rabbit leads the harmonizing corn. "9 Corn" got forked! The three little Pigs get into the grove banging on pails & cans. I have always celebrated the fall. There is something about the crisp scent in the air, the vibrant and vivid colors of nature, the introduction of caramel apples, bonfires, s'mores, and hot chocolate... it is hands-down my favorite time of year. When I was a child my family made an autumn tradition of visiting a local pumpkin patch. What began as a modest pumpkin farm with hayrack rides has transformed through the years into a smorgasbord of fall family activities. 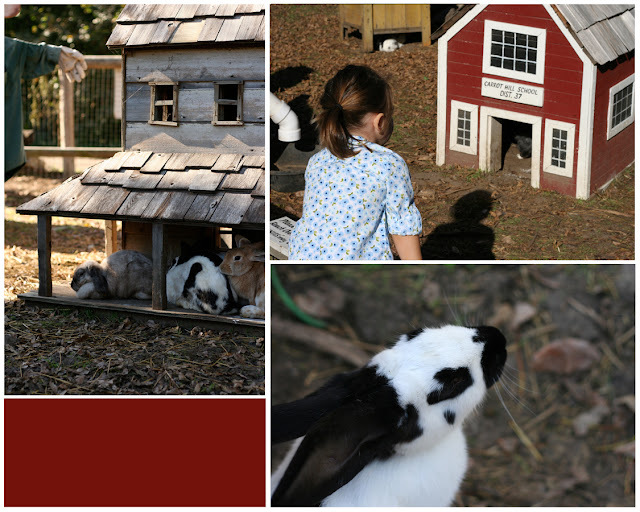 From their haunted house and corn maze to their bunny village, petting zoo, train rides, pig races, animatronic storybook village and farm animal band- just to name a few! Here is a sneak peek of Vala's Pumpkin Patch!! Complete with bunny-sized schoolhouse, water mill, stream, houses and barns. Includes a sign stating that this was provided by "Rabb-i-tat for Haremanity." Feed the goats, llamas, camel and goose. I was a big fan of this sweet little llama. Vala's Pumpkin Patch: Scarecrow Band and Ogre! 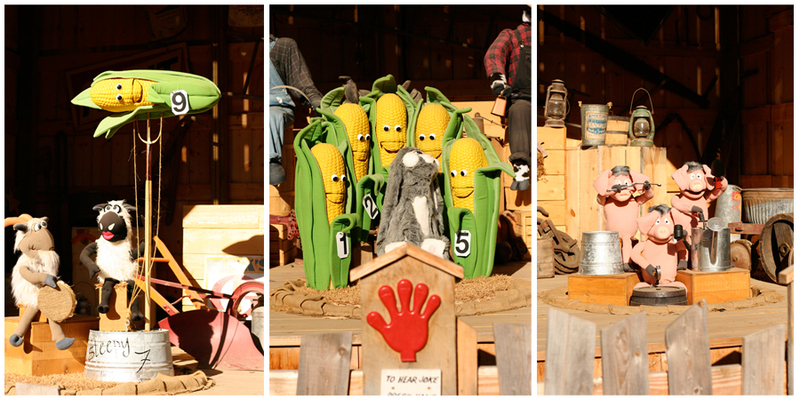 One of the first animatronic features added to Vala's, the Scarecrow Band! CD available at the Big Barn Shop. Photo opportunities are endless. One of my favorites: the stocks! 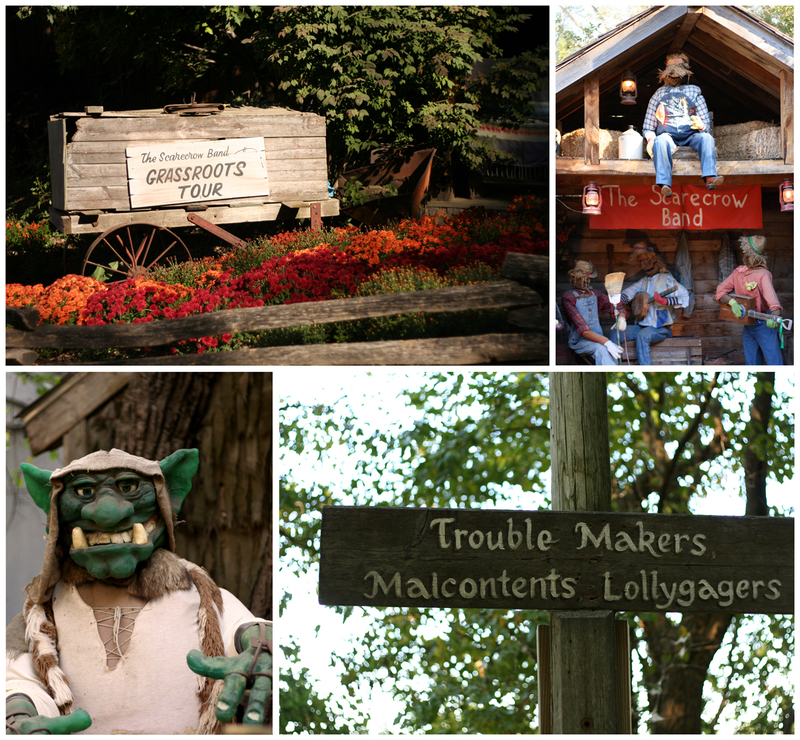 Stocks are complete with a "Trouble Makers, Malcontents and Lollygagers" sign.